Hoist and trolley not included. Do not move units while loaded. 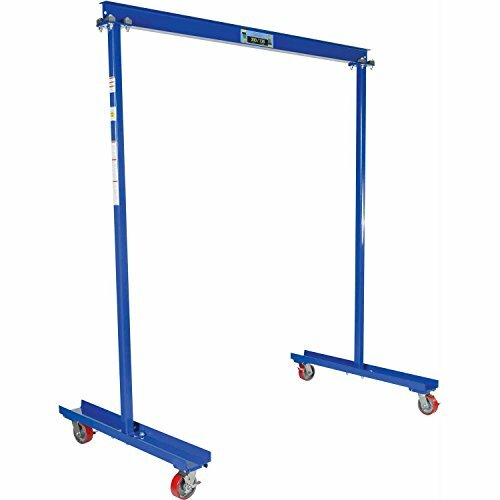 Designed to maximize material handling requirements in light-duty lifting applications. Lightweight fixed height design allows for easy mobility. Includes four polyurethane-on-steel swivel casters. Welded steel construction. The straddle width and base width is 68". Powder coat finish.